Lumber Liquidators is pulling all Chinese-made laminate flooring and Lowe's is pulling Tecsun products because of concerns about chemical emissions. Lumber Liquidators says it is hiring former FBI Director Louis J. Freeh to review it sourcing program to ensure the safety of its products, and it says initial results of tests conducted in customers' homes finds that 97% were within established guidelines for formaldehyde levels in indoor air. "Despite the initial positive air quality testing results we have received, we believe it is the right decision to suspend the sale of these products." said CEO Robert M. Lynch in a prepared statement. "We will work diligently to meet the needs of our customers and to ensure their satisfaction." The company faces an investigation by the U.S. Consumer Product Safety Commission as well as hundreds of lawsuits filed after CBS News' "60 Minutes" aired a report about the issue. Lowe's said it has been moving away from Chinese-made products and hopes to have only U.S.-made flooring products in its stores by July. Formaldehyde is a suspected human carcinogen commonly found in many household products including laminate flooring, furniture, permanent press clothing, floor coverings and personal care products. Other sources of formaldehyde in the air include cigarette smoke and emissions from wood-burning fireplaces, kerosene heaters and natural gas stoves. In early March, Lumber Liquidators, based in Toano, Va., began offering free indoor air quality screening to customers who had purchased laminate flooring sourced from China. Home air test kits were used to measure the total level of formaldehyde in indoor air from all sources, not just from the flooring. "We developed this testing program to address questions raised by customers about the air quality in their homes," said Lynch. "Although these tests do not identify the specific source of any formaldehyde emissions, we believe this testing provides valuable information for our customers." The testing program was reviewed by Dr. John McCarthy, the president of the consulting firm Environmental Health & Engineering, Inc., who said that indoor air quality screening "is a useful tool to obtain reliable information that can be used by both consumers and regulators." 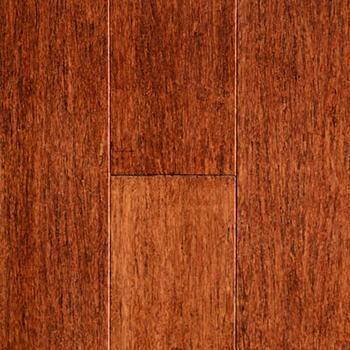 Lowe's and Tecsun confirmed that Lowe's has canceled outstanding orders for flooring. “We take concerns like this very seriously,” Lowe's spokesperson Connie Bryant said, according to Bloomberg. In both the Lumber Liquidators and Lowe's cases, a Wall Street short seller, Xuhua Zhou, raised the initial alarm, claiming that flooring from the companies contained "toxic" levels of formaldehyde. Lumber Liquidators' stock price has plunged in the wake of the charges.